Overview: Installation of the first mural size work of art produced by Alan S. Maltz. The canvas piece measures 12'x8' and is titled Guiding Light. 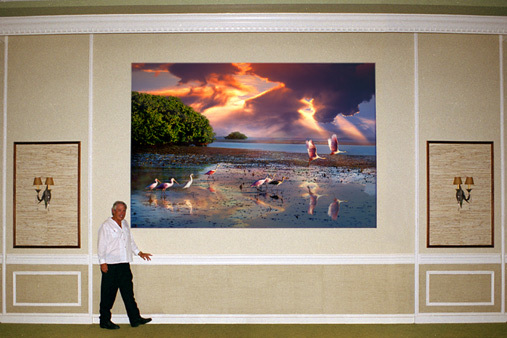 It is on permanent exhibition at Heron Hall, Ocean Reef Club, Key Largo, Florida.